Your mother was right: Breakfast is the most important meal of the day. So why is it also the meal that is most likely to get lost in the shuffle? Chaotic mornings can make it impossible to sit down to a proper breakfast. The recipe below saves the day. 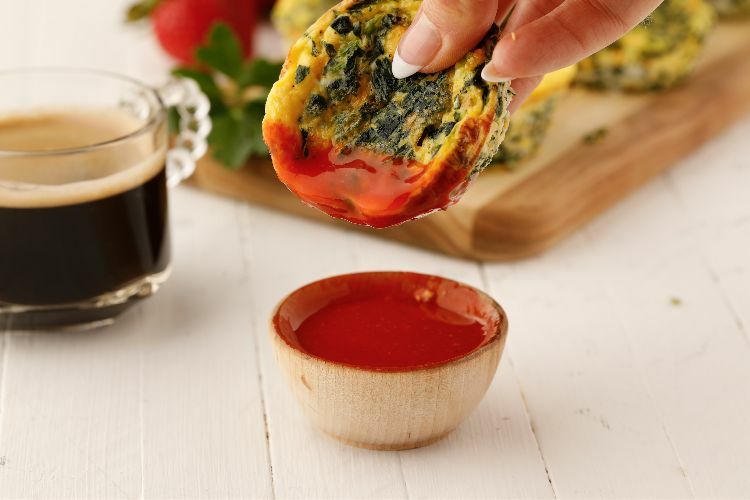 It’s an easy low-carb breakfast in a protein- and veggie-filled muffin that’s easy to grab, even as you rush out the door. Whip up a batch ahead of time and stash them in the fridge for several days or in the freezer for months. Pop them in the microwave to thaw/reheat and you’re good to go. I like to make a double batch and add a variety of vegetables to the muffin tin before pouring over the egg mixture. Blanched broccoli or asparagus, roasted bell peppers or even leftover roasted potatoes or other veggies are some of my favorite additions. 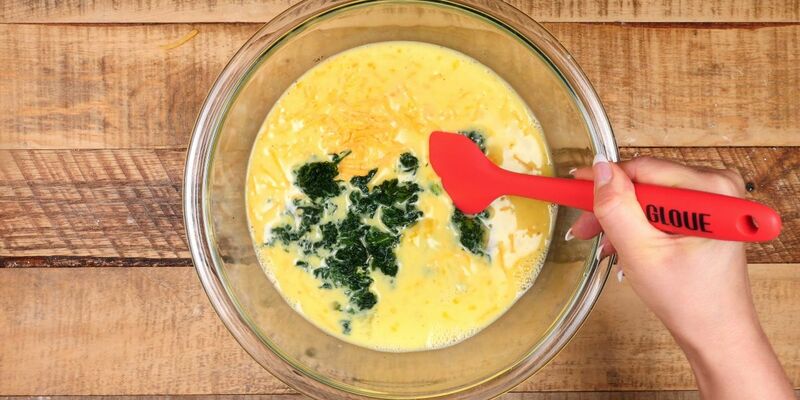 In a medium mixing bowl, whisk together the eggs, milk, salt and pepper. Stir in the cheddar cheese and spinach. Divide the egg mixture evenly among the muffin wells so each well is about three-fourths full. Bake in the preheated oven for 18 to 20 minutes, until the eggs are set. Serve hot or cool to room temperature before storing.